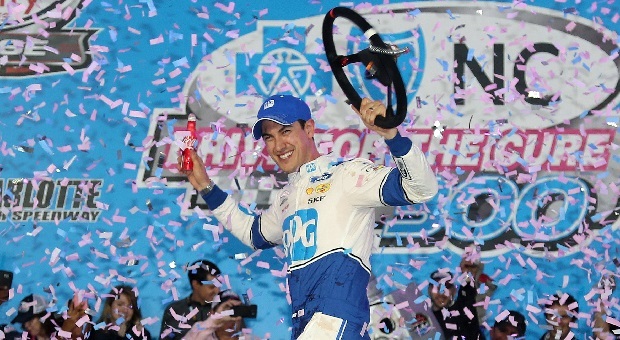 Joey Logano pulled off a three-wide restart for the lead over a dominant Kyle Larson with 12 laps to go, winning the Race for the Cure 300 NASCAR Xfinity race at Charlotte Motor Speedway after it was postponed Friday night due to rains from Hurricane Matthew. Elliott Sadler moved up to second with Daniel Suarez in third. Kyle Larson had attempted to retake the lead, eventually scraping the outside wall and sliding back to fourth. Erik Jones rebounded to finish fifth after a late yellow flag enabled him to catch up for a late race penalty for a loose tire in his pits. 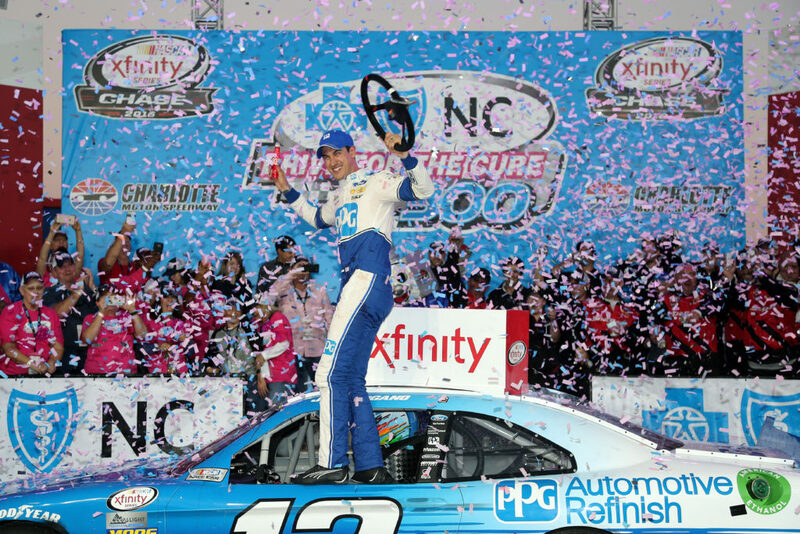 The race was the last of the first segment of the Xfinity Chase of 12 elimination round, placing high emphasis on results. At the end of the evening, four drivers would be ousted from the championship. The unofficial NASCAR Xfinity points standings after the completion of three segments going into of Round of 8 are as follows: 1 Daniel Suarez (Win), 2 Elliott Sadler (Win), 3 Justin Allgaier; 4 Erik Jones, 5 Brendan Gaughan; 6 Ryan Reed; 7 Darrell ‘Bubba’ Wallace, Jr. and 8 Blake Koch. Those now out of the campaign for the title were Ty Dillon, Brennan Poole, Ryan Sieg and Brandon Jones. “It’s heartbreaking,” said Dillon, driver of the Richard Childress Racing Xfinity No. 3 Chevrolet. “We’re a team that should have been in the final round. You’ve got to expect things to happen, which happened in the first race at Kentucky. But you’ve got to be able to rebound if you’re going to win a championship. Dillon needed one more point to tie for eighth with Wallace, but he couldn’t catch Sieg, who pitted for fresh tires under the final caution on Lap 183. Dillon would have won the tiebreaker for the final spot in the Round of 8 based on his runner-up finish at Dover. 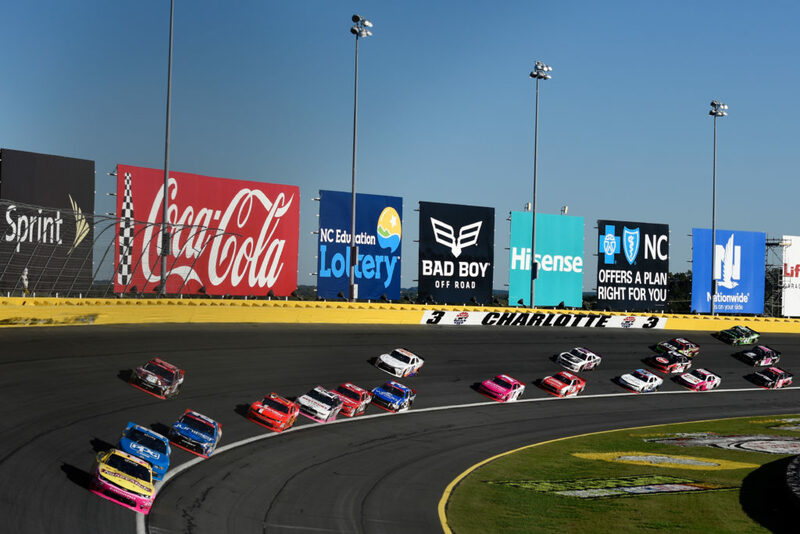 The Xfinity tour in the next three races chops it down to four participants starting at Kansas next weekend, then two weeks off before returning to Texas and Phoenix to set the finale in Homestead. 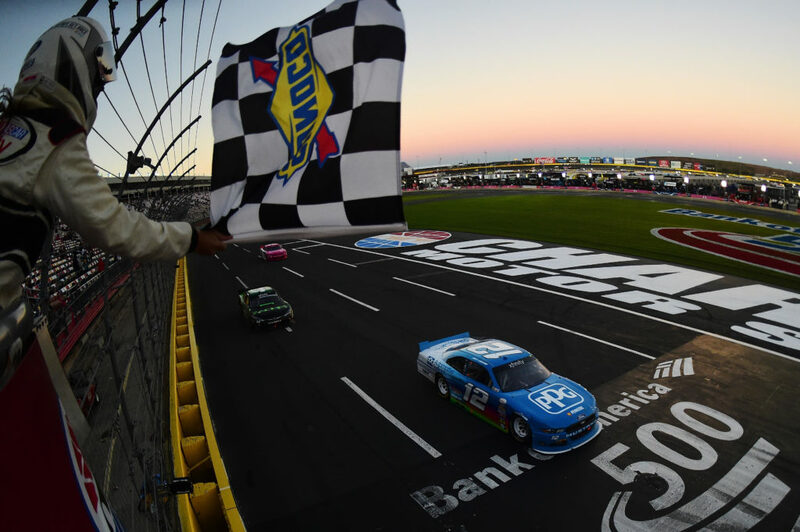 Next weekend at Kansas Speedway, the Xfinity series runs on Saturday, Oct. 15, for the Kansas Lottery 300 on NBC.